Outdoor Ceiling fans come in a massive range of colours and styles. With energy saving LED lights installed in matching colour to the ceiling fan the outdoor ceiling takes on a whole new level of style. 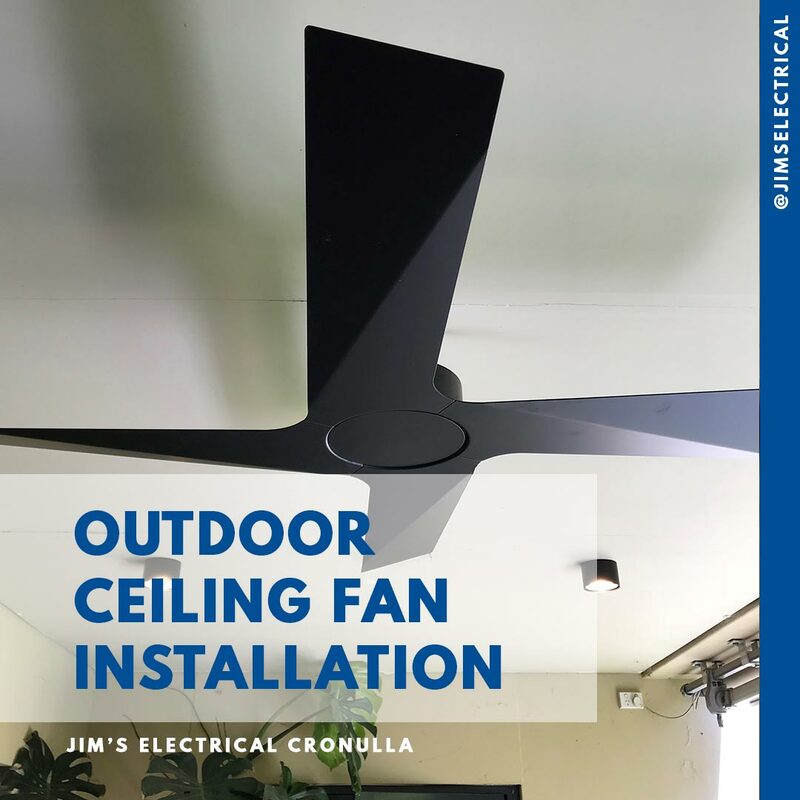 Jim's Electrical have installed the lights and fan in Woollahra with the client being really happy with the completed installation. Jim's Electrical supply and Install the 'Trader' range of power points and can installing matching black outdoor weather proof power points as well as standard black wall plates.